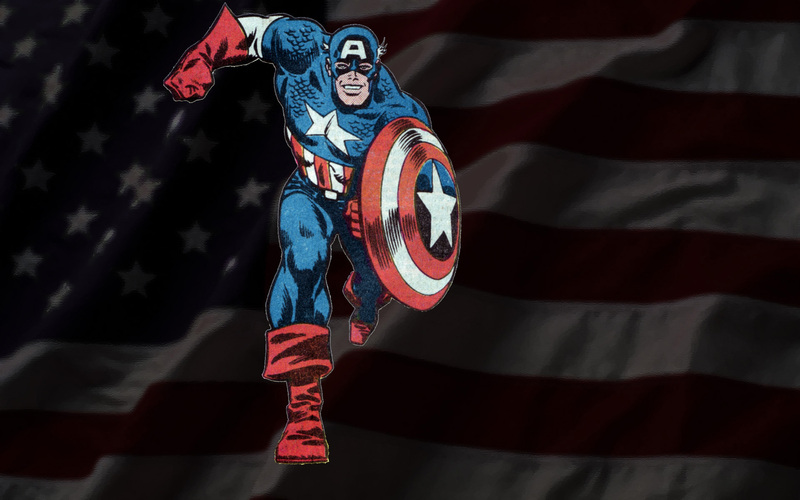 Steve Rogers -we really NEED ya man -in the Marvel Universe AND in the real one! The cap image was scanned from a 1986 Marvel comics house ad for their subscription service. I’m fairly certain the art is by Buscema -probably Sal but possibly John. If you know for sure which is it is please let me know. The background flag image I found on Google Image Search and then heavily Photoshop filtered it. I wish I still had all of the comic books and baseball cards from the 50’s and 60’s. I could probably retire from TJX! My wife is an art teacher, and one of the books she uses regularly in her class is “How To Draw Comics The Marvel Way” by Stan Lee and John Buscema. It’s a great book- even if you don’t want to draw, there’s some really cool info in there that any comic book fan would enjoy.